People look for things to worry about. We worry about what people think of us, how we look, what we wear, what we earn or don’t earn. The crazy thing is, those people we worry about, most probably aren’t thinking about us, they are to busy worry what others think of them. And the people who look like what we want to look like, are worried about their looks too! God wants to meet our spiritual, emotional and physical needs. 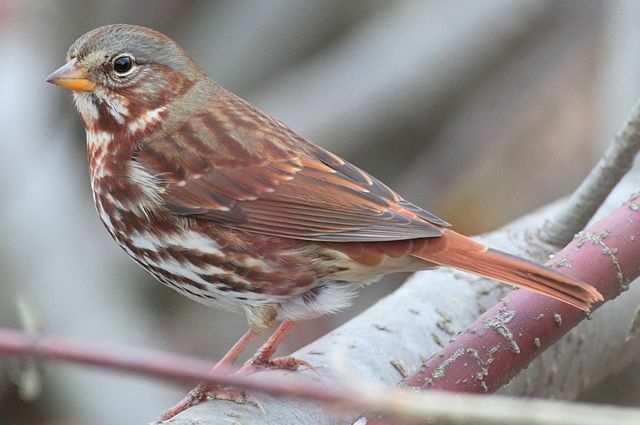 He set up the physical world to meet the sparrow’s need and he aligned the whole universe to meet mankind’s need, he wants to meet our personal needs. However, because we don’t remember how valuable we are to God, WE WORRY! Think of the opportunities, relationships, blessings and destiny God has for us, that we will miss if we worry; if we forget how valuable we are to our Heavenly Father. We are more valuable to God than any obstacle. We are more valuable to God than any fear. Remembering how valuable we are to God, is a cure for worry. I have recently been inspired to action in our garden. I transplanted some of the more beautiful plants growing inconspicuously around our property into a rock garden just outside the front door. In the process, mess gets everywhere. For a garden to look beautiful, you first have to make a big mess! Life is messy and mess sticks. Just hanging around in this world means that ‘stuff’ can rub off onto us. Attitudes that are harmful, emotions that hurt and beliefs that rob our faith, all have the potential to hold us back from God’s plan for our lives. Jesus prayed that His disciples would be set apart from the world’s mess. This world’s system is not supposed to stick to us. In John 17, Jesus asked that we would be sanctified, or ‘set apart’ in the truth. Fear is not truth, hate is not truth. Neither is pride, jealousy or greed. God’s Word IS truth. Jesus was not concerned that what we ate would make us ‘unclean’. What we eat goes straight to our stomach and doesn’t directly effect our beliefs. But, Jesus did say to guard what goes in our eyes and ears: what we listen to and meditate on does effect our beliefs. Colossians 3:16 says ‘let the word of Christ dwell in you richly’ or to ‘let the word of Christ remain as a rich treasure in our hearts’. If we want to protect our hearts from being messed up by this world we are to treasure God’s Word. Daily reading and meditating on God’s Word will do more than anything else to protect our faith and establish God’s Kingdom in our lives. Seven Things Jesus Prayed For Us : 2. That We Would Know Our Heavenly Father. We have all witnessed the emotional father and child reunions as military fathers return from overseas. The joy of seeing a parent reunited with a child is deeply moving. Jesus came to bring life to us by revealing the Father. He manifest the Father’s love, His forgiveness, power and righteousness. When Jesus reached out to the crippled, it was the Father reaching out: when he forgave the sinner, it was the Father forgiving the sinner. Jesus said, “If you have seen me, you have seen the Father” (John 14:9). The more we come to know the Father, the more we can grow as His child and the more we can experience the life he has for us. One time Jesus asked the disciples to go on ahead of him in a boat. While crossing the lake, the disciples got caught in a storm. They were being tossed about in the waves and the wind was pushing them back. Jesus had been praying and he saw them in distress. So he walked across the lake, right up to them and calmed the storm. Jesus had ‘kept’ the disciples for three years. He had guarded them, watched over them, taught, protected, sheltered and provided for them. In John 17:12, He said, “I was keeping them in your name … I guarded them and not one of them perished…” As Jesus was preparing for His death, resurrection and return to the Father, he prayed on behalf of His disciples and for us ‘also, who believe through their word’ (v20). The first thing he ask was, ‘Holy Father, keep them through your name’. Obviously, Jesus knew that there would be times we would face extreme tests, times when we would be tempted to fall away. He prayed, not that we would be taken out of this world, but that we would be kept from the ‘evil’ one (v15). We are ‘kept’ by our Heavenly Father: he is guarding us, protecting us, sheltering us. Nellie Bishop is not the patron saint of those who would hurl themselves into oblivion from The Gap, there on the cruel cliffs overlooking the ocean, but she should be. For look at her now. It is a bright, beautiful Tuesday afternoon, November 13, 1923. 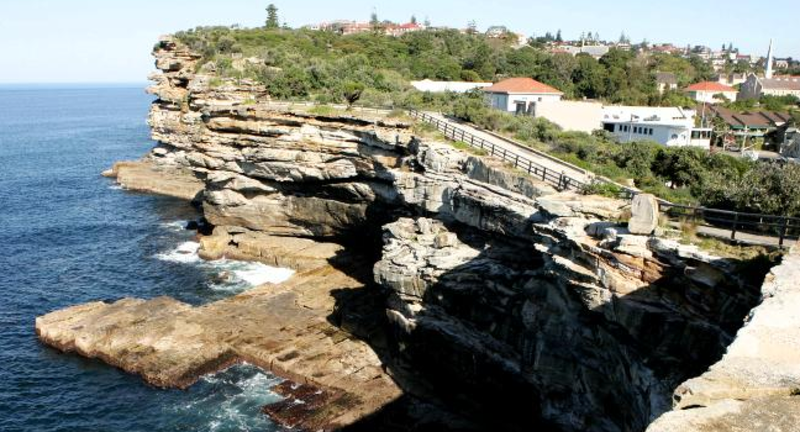 She is a strong, athletic young woman, in a long dress – until recently, a clerk with the railways, living with her parents at Kogarah – and there seems nothing to mark her out from the passers-by, other than the intent way she gazes at the rocks below. And yet, suddenly, she puts down her handbag and climbs through the small fence. She does not feel afraid. Only determined. She simply puts her hands to her face and … leaps. Why did she jump? It’s complicated. To her family and friends, she seemed happy enough. But the misery that propelled her over the cliff was well hidden. Certainly, a large part of it was a broken romance. For Nellie, the love of her life had been one James William Gallagher, a fine, strapping young man whom she had grown up with. She had been so proud of him – if fearful, too – when, in 1915, he had marched away to the Great War. Alas, although James had returned in 1919, walking, talking and with both arms intact and nary a wound visible, he was not the complete man who had left her. Tragically, James had taken a bullet to his nether regions and so was fearful that having children was out of the question. The shattered James tried to make the best of it, saying that, while of course he still wanted to marry her, he did not want children, anyway. But Nellie did want children – it was the dearest desire of her life. The pain of their subsequent falling out broke her heart and also, at least momentarily, her mind. At the instant she jumps, however, with the wind rushing around her ears and blowing up her dress, she bitterly regrets her action and decides she does want to live after all. But it is too late! Or is it? Through an extraordinary, once-in-a-century quirk of fate, a freak wave engulfs the rocks below with such a flood that she hits deep water instead. She’s alive! Two old Italian fishermen – the brothers Rosario and Vincent Diamente – are nearby and look over to see her hit the water. They row like mad things towards her. The brave fishermen get to her, just six yards from the cliff face, where she is furiously treading water. In the roar of the waves, nearly dashing themselves and her on the rocks in the process, they manage to get her on their boat. Nellie is taken to hospital, where she spends the night, and is released the next day to her astounded and relieved family. The upshot? Despite the blackness that propelled her to jump, despite being firmly convinced that there was no way out for her, that death was better than life, she was totally, comprehensively and stunningly wrong. For Nellie Bishop really did live happily ever after. She fell in love again with a good man and had eight wonderful children. Five of them joined the police force and one, Bob Bradbury, became NSW’s highest-ranking detective. Nudging 90, Nellie passed away from natural causes in 1988 as the matriarch of a large and loving family. There should, at the least, be a plaque to her at The Gap, at the highest point where she jumped, telling something of her story. With thanks to the Bradbury family and acknowledgment to The Sun (November 14, 1923) and The Daily Guardian (November 16, 1923). Forgiveness is the only genuinely healing response to the hurt that destroys marriages and relationships. The New Testament uses two main words to describe forgiveness. The first word (aphiemi), means to cancel both the debt and the original cause of that debt. The second word (charizomai), means to bestow forgiveness freely. This word for forgiveness stems from the word ‘grace’ and implies that the person forgiving is offering it it freely, without conditions. Practicing true forgiveness is administering the love and life of God. To ‘earn’ forgiveness, or to expect justification before forgiving, weakens the experience for both people. iii. removes from the relationship the cause of the hurt. Forgiveness is the only genuinely healing response to the hurt that destroys marriages and relationships. True forgives puts in place the foundations for restoration and healing. True forgiveness is love in action. The irony of grace is, to qualify for it, you have to know that you don’t qualify for it! 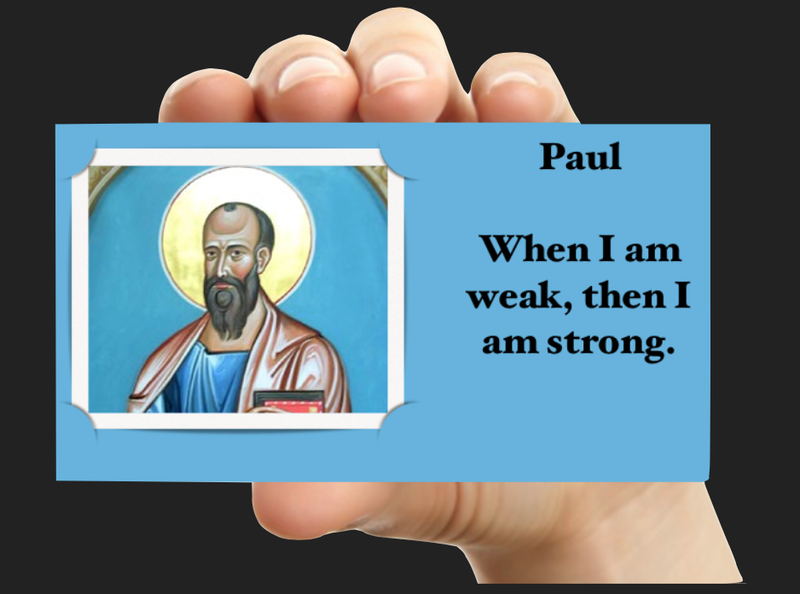 Paul was a man on a mission. A HUGE mission. 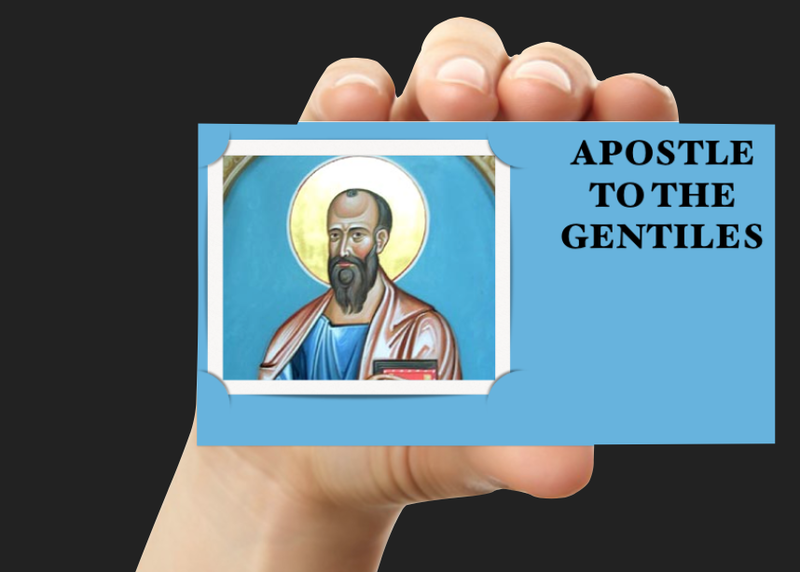 He was the ‘Apostle to the Gentiles’: which is not a bad title to put on your business card. 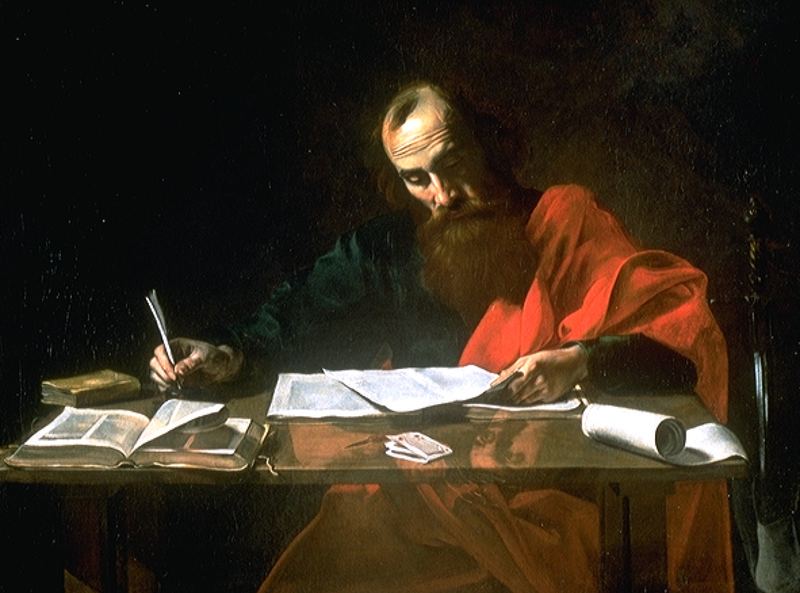 You could understand him being at risk of getting a rather big head about being THE Apostle to the Gentiles and writing two thirds of the New Testament. Especially being the educated and naturally gifted person he was.